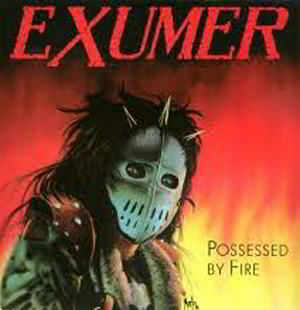 Exumer was an early German thrash metal band with close ties to Angel Dust (their labelmates on the Desaster imprint) and a raw, vicious, unsophisticated style derived chiefly from influences like Venom, Exodus, and Slayer. 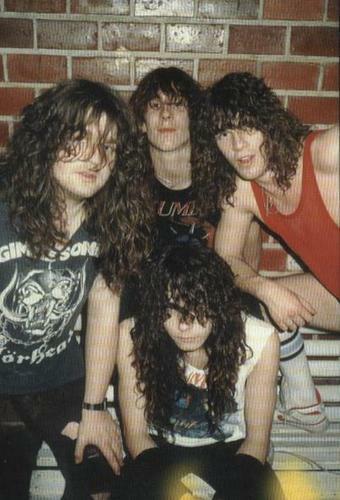 In fact, vocalist/bassist Mem von Stein and guitarist Ray Mensh were said to have met at a Frankfurt Slayer show, subsequently drafting second guitarist Bernie and drummer Syke Bornetto to complete the lineup responsible for 1986's bruising Possessed by Fire debut -- an enduring underground favorite despite stiff competition from more successful Teutonic thrashwerks of the day by Kreator, Sodom, and Destruction. 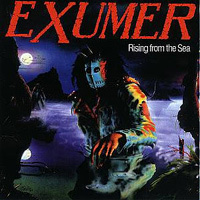 Sadly, Exumer returned significantly less inspired (and minus von Stein -- briefly replaced by Paul Arakari) for 1988's sophomore slump-ish Rising from the Sea, and wound up breaking up a short time thereafter. However, Exumer's "classic" lineup did eventually reunite for a special performance at 2001's Wacken Open Air Festival.